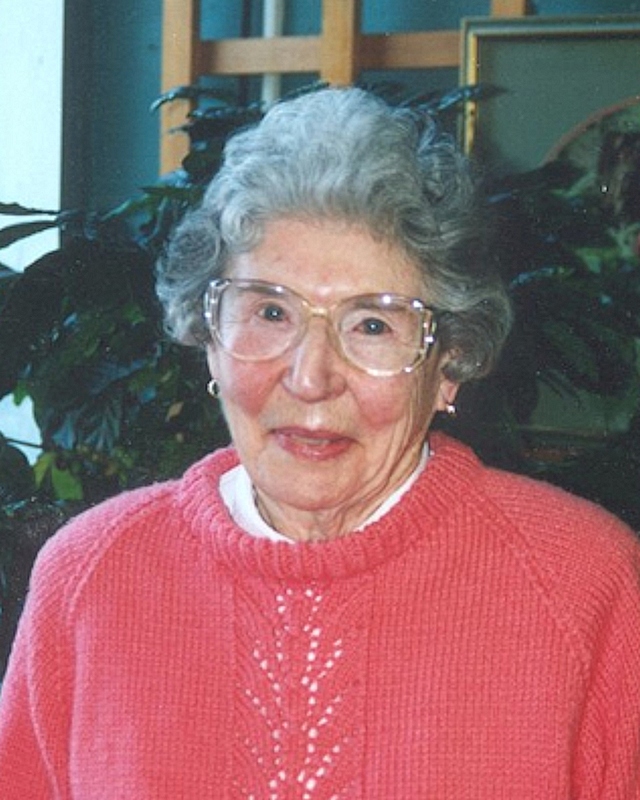 Dr. Joan Belcher Budd, a pioneer worker on diseases of furbearing animals, wildlife and fish, and probably the most senior member of the Wildlife Disease Association (WDA), died in Guelph on February 14, 2015, at the age of 103. 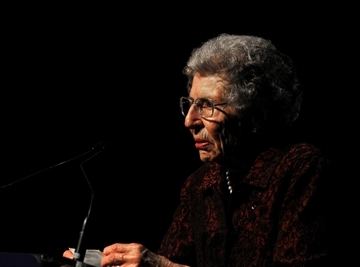 Joan held the Distinguished Service Award and the Emeritus Award of the WDA (both 1977), was a Life Member of the Canadian Veterinary Medical Association and the College of Veterinarians of Ontario, an Ontario Veterinary College Distinguished Alumnus (2000), and at the age of 100 was the recipient of a Lifetime Achievement Award in the area of science, technology and research at the Guelph Women of Distinction Awards ceremony. From a farm background near Roblin, Manitoba, Joan had an early interest in a veterinary career, but was discouraged from applying by the Ontario Veterinary College, from which there was only one Canadian female graduate prior to World War II. So she became a rural public school teacher, but during the war joined the Royal Canadian Air Force – Women’s Division, where she was involved in surveillance for air intrusions by the Japanese on the Pacific coast of Canada. After the war, she again applied to the OVC, at the time the only English-speaking veterinary college in Canada. She was one of three women admitted in 1946 to the large class (127 students) of 1950, comprised mainly of war veterans. Immediately after graduation, Joan, whose brother had a mink ranch, began graduate work on canine distemper in mink at the University of Wisconsin, Madison, where she worked with Dr. Robert Hansen, who mentored many other pioneers in the field of wildlife diseases as well. Returning to join the faculty of the OVC in 1951, Joan became an expert on pathology and diseases of furbearing animals, a very active area in the College at the time. In 1957, Joan married Dr. John Budd, who worked at an Ontario Ministry of Natural Resources fisheries research station on Manitoulin Island, in northern Lake Huron. Leaving her position at OVC, Joan joined him there. In 1962, after her husband suddenly died, Joan returned to OVC, where she developed an interest in fish diseases and pathology, in which she did pioneering work for the rest of her academic career. With Dr. Lars Karstad, who returned to OVC from Wisconsin in 1961, she established a unit in Furbearing Animals, Fish and Wildlife Diseases, which ultimately became part of the Department of Pathology (now Pathobiology) in the mid 1960s.This was a very productive period at OVC, associated with the founding of the University of Guelph in 1964, as graduate programmes developed in many areas, including fish and wildlife diseases. Joan mentored several graduate students in fish diseases, beginning during this era and extending to her retirement as an Associate Professor in 1976. Joan was an early member of the WDA, and assisted editor Lars Karstad during the transition of the Bulletin of the Wildlife Disease Association to the Journal of Wildlife Diseases in the late 1960s and early 1970s. Her work on diseases of furbearing animals and fish, and her contributions to the Journal, were recognized by award of the DSA and the Emeritus Award following her retirement. Since then, Joan maintained an active lifestyle and her interest in natural history, moving from Guelph to her residence on Manitoulin Island each spring, and back in the fall. She periodically visited OVC, where she is recognized as a role model for Canadian female veterinarians, and as a pioneer in the field of Wildlife Diseases internationally.